Takaka is an area that has lots of caves and limestone features. 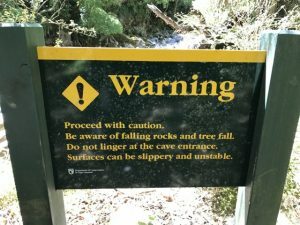 The one at Rawhiti is free to see and spectacular – you just have to be prepared to walk for about an hour to get there. But if you manage it, the stalactites and stalagmites on display are incredible and will provide a great geography lesson for everyone! The walk starts by crossing a dry river. It’s important that it is dry when you cross it, as it would be far too dangerous to attempt to cross if there’s any flowing water. Even after torrential rain though, the water dries up quickly, so it’s still worth checking 24 or 48 hours after a storm. The tracks are clear and fairly flat for the first half but then a DOC warning sign shows where the path gets steeper. This part would be tricky for small kids. 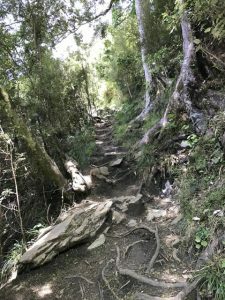 There are lots of tree roots to stumble over, it can be slippery if it’s been wet and at times, it is very steep with care needing to be taken to find places for each step. There’s no reason why little kids that are good walkers can’t do it but others might need to be carried in a backpack. The walk ends just inside the cave where there’s a wooden platform with information boards talking about the geography of the cave, how the stalactites and stalagmites are/were made and pointing out some particular features, like how some of the stalactites appear to grow towards the light at the cave entrance. The return walk follows the same route back and can also take around an hour as great care still needs to be taken with footing. Take food and plenty of water with you – stopping for a snack might be the difference between a child managing the walk or not! 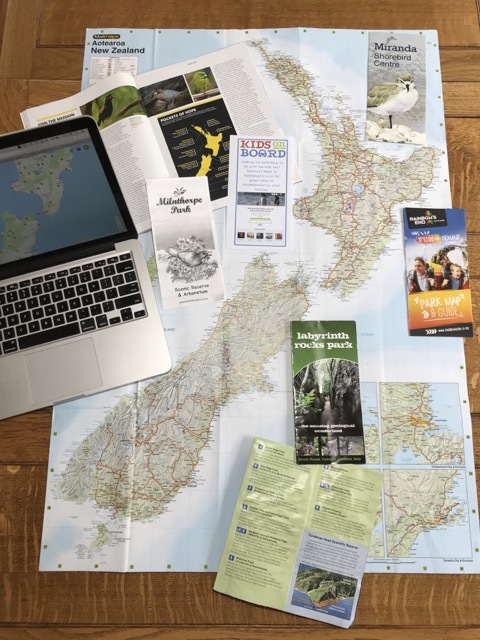 The closest shops are in Takaka, so make sure you’re prepared. There aren’t any toilets nearby, so go before you set out. Address: at the end of an unsealed track off Packard Road, Motupipi, near Takaka. It’s about a 10-15 minute drive from Takaka. The cave is signposted towards the end but use Google Maps to help get you there. People park along the side of the road leading up to the start of the walk. Don’t leave valuables on display in your car.